THE SNOW HAS GONE, NOW ITS TIME FOR THUNDER!!!! Welsh Light Heavyweight champion Nathan Thorley will be looking to add to his ever-expanding trophy cabinet the Celtic title on March 9th, wherein the crosshairs of the Cardiffian will be the tough assignment of Ireland’s Paddy McDonagh. The Southpaw is coming off a careers best win over the son of the legend in Steve Collins Jr whilst sporting a resume of 11-2, but it is a contest that Thorley relishes. Preparation as been met at a premium due to importance of the fight with sparring from Welsh prospect Kody Davies who will also be on the night’s fight card, as well as Light Heavyweight southpaw Shokran Parwani and Olympic Silver Medallist Fred Evans. It goes without stating that he is a man leaving no stone unturned in his pursuit of glory, He is also not a man who relies purely on talent alone, his work ethic of juggling a full-time job with his commitment to learning his craft can sometimes leave him weary but is something that he believes deeply in to succeed. “I get asked this a lot as I work a full-time job and train most days twice a day, but if you want and desire something so bad you’ll make It work and I’m going to make this boxing career work. 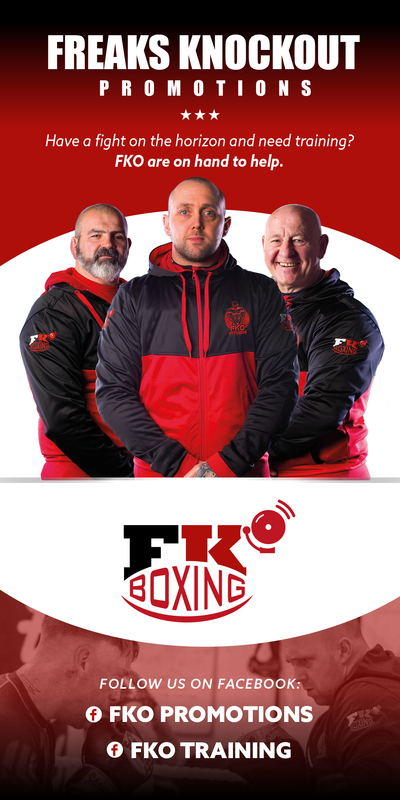 A new trainer in tow, Thorley acknowledges that a change was needed to step up to an higher level, bringing in one of Wales’ best in former World title challenger and trainer Gary Lockett. It’s the drive to succeed that is most impressive, a willingness needed to be a champion with a punch to match such as his nickname of ‘Thunder” suggests, considering the highlight reel knockouts of tough opposition of the usually durable Jevgenijs Andrejevs and Jamie Ambler not to mention his near on decapitation of Jermaine Asare. On conclusion its hard not to root for a fighter like Thorley who puts it on all the line, every time, from a 10-year-old who found his calling at his uncles boxing gym in St Clairs, growing up idolising the likes of Muhammad Ali to Thomas Hearns to more recently Andre Ward, It all comes down to March 9th to take his shot at the Celtic title, knowing that a win here will further elevate him up the rankings with British/European and perhaps even a World title within his sights. Nathan would like to thank his sponsors Danny Munn and Peter Walker of Vale scaffolding and Greg Sprudd and Dan Evans of new vision contractors.